Located in Fredericksburg Virginia and with campuses in Stafford and Dahlgren, the University of Mary Washington is undeniably part of Virginia’s strong commitment to excellent public colleges and universities. Unfortunately, UMW (which prides itself on being named after the mother of George Washington), has joined many of Virginia’s other fine public institutions in the very un-American act of rendering adult students, faculty, and staff defenseless. “Police officer” means law-enforcement officials appointed pursuant to Article 3 (§ 15.2-1609 et seq.) of Chapter 16 or Chapter 17 (§ 15.2-1700 et.seq.) of Title 15.2, Chapter 17 (§ 23-232 et seq.) of Title 23, Chapter 2 (§ 29.1-200 et seq.) of Title 29.1, or Chapter 1 (§ 52-1 et seq.) of Title 52 of the Code of Virginia or sworn federal law-enforcement officers. “University property” means any property owned, leased, or controlled by the University of Mary Washington. “Weapon” means any (i) pistol, revolver, or other weapon designed or intended to propel a missile of any kind; (ii) any dirk, bowie knife, switchblade knife, ballistic knife, razor slingshot, spring stick, metal knucks, or blackjack; (iii) any flailing instrument consisting of two or more rigid parts connected in such manner as to allow them to swing freely, which may be known as nun chahka, nun chuck, nunchaku, shuriken, or fighting chain; or (iv) any disc, of whatever configuration, having at least two points or pointed blades that is designed to be thrown or propelled and that may be known as throwing star or oriental dart. 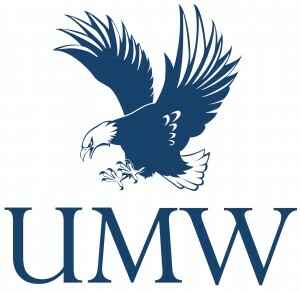 UMW joins the over half-a-dozen other Virginia colleges and universities (including Radford, JMU, and VA Tech) that have moved to promulgate regulations following the opinion by Attorney General Cuccinelli that regulations, which have the force and effect of law, trump Virginia’s concealed handgun permit law. It is truly sad that an institution named after George Washington’s mother has chosen to follow the same path our founding fathers struggled against. This entry was posted in Abuse of Discretion, Abuse of Power, Administrative Regulations, Campus Carry, Virginia. Bookmark the permalink. I could not agree with your closing points (1, 2 & 3) more. Our marching orders are clear. How ironic that an institution who’s prime goal should be teaching and enshrining our Constitutional Rights has chosen instead to deny them. What is their liability if they fail to defend me? Rhetorical question, of course. I wish someone financially able to do so would persue that legal avenue some day…. Soon too the Cinemark Theatre in Aurora CO will feel the same sting of justified accountability of their failure to protect thise they disarm as they are being sued! I have helped push some of the Maine Campus carry agenda, however some of it has fallen apart. Most laws and rules are “why do you or why would you need it, its silly so lets ban it” mentality rather than addressing the potential civil rights violations involved…..and to think most colleges and schools are the root of civil rights movements…and yet the focal point of civil rights violations from rapes, murders, abuse and other violations..
As a Stafford County resident, I am very concerned about the wording of this regulation. It appears to imply that if I go get frozen yogurt at Sweet Frog in Eagle Village and am carrying, I may be in violation of the regulation, since that property is owned by the UMW Foundation, and is thus under the “control” of the University. A location that appears to be privately owned, is not posted, but falls under this excessively broad reg could then be a trap for an otherwise law-abiding concealed carrier. Screw the .govs alleged “laws”. Just carry the weapon. Don’t you folks see how the .gov lawyers tell you your “permission slip” to carry doesn’t mean squat ? Prepare….and start making a list of freedom stealing .gov scum. The only way to make lasting changes is within the system … through the judiciary, the legislature and by affecting popular culture. We have made great strides over the last few decades in this regard and I expect the trend to continue. But comments about making lists and disobeying laws do not help. Laws are what hold a society together and advocating living outside the law is not a solution. Rather, the laws need to properly reflect the constitutional values on which this nation is founded. There is an agent provocateur (troll?) in our midst and the voice is somewhat familiar. Above all the law – if not that then nothing matters. So what exactly is the penalty for violating this prohibition?